Lorilee Lippincott’s simple living book: 3-2-1 STOP: stop running and start living is a fresh, personal guide to simplify your life by ridding yourself and your family of material clutter, so you can open up a space for spiritual fulfillment. 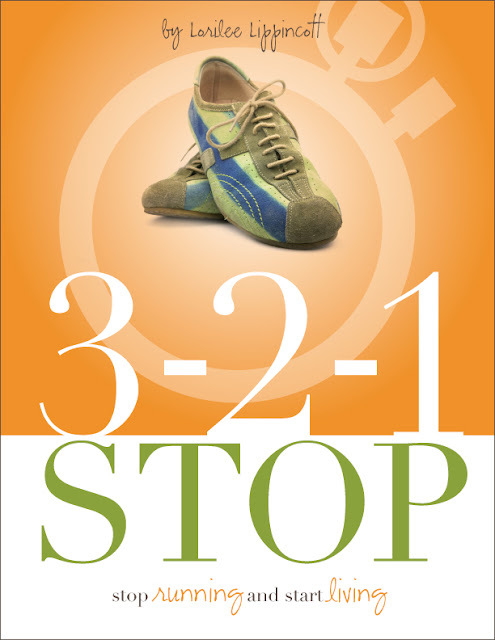 Lorilee’s book is a balance of practical organizing tips and Christian spiritual guidance. Lippincott shares her journey in such an organized and enthusiastic way that she makes you believe that getting rid of things is really not that hard...that it is actually a fun adventure. If you would like to receive a free e-book copy of Lorilee's book enter the raffle below. The drawing for 3 copies of her book will be held next week on 3/28/12. Thank you for the giveaway. I'm really looking forward to reading this!